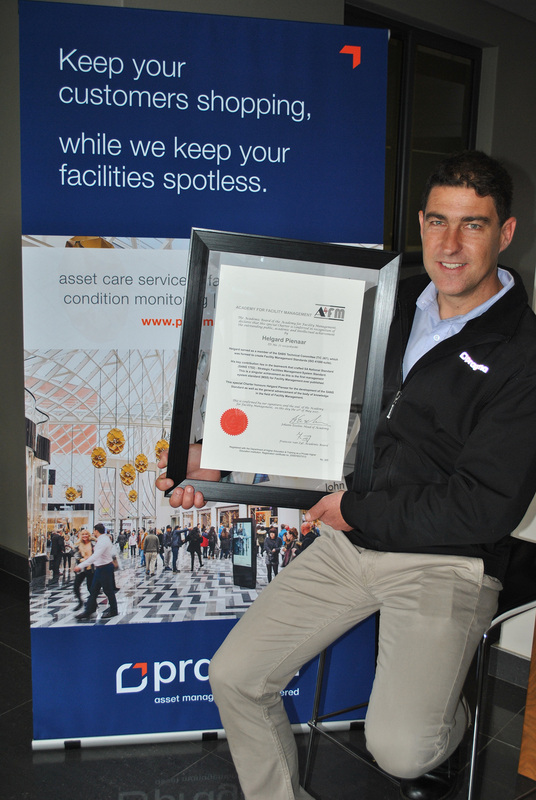 Pragma Engineer, Helgard Pienaar, has been honoured with a special charter from the Academy for Facility Management for his contribution to the development of the Facility Management Standards (ISO 41000 suite). This contribution stems from his position as member of the SABS Technical Committee (T/C 267) which was formed under the auspices of the International Standards Organisation (ISO) to create Facility Management (FM) Standards. While others also served on TC267, his contribution is also outstanding for his perseverance and dedication to see the task through to its conclusion. As part of a small group he was responsible for formulating South Africa’s views and making its voice heard in the ISO Technical Committee and Working Groups with regard to the 41000 suite of standards for Facility Management. 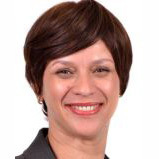 Helgard served as a member of Working Group 3, and together with Clair Odgers, Craig Henry, David Khasebe, Hendrik Wannenburg and Banzi Bam was responsible for crafting the SA National Standard (SANS 1752). SANS 1752 is a singular achievement as this is the first management system standard (MSS) for Facility Management ever published. The standard has passed all the stringent ISO requirements including the industry peer review. 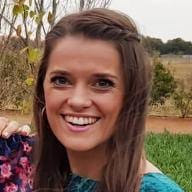 “Finally FM is becoming an important agenda point during board room discussions and the industry will be formally acknowledged with tertiary institutions being able to develop training towards formal qualifications”, says Helgard. While it may be years before the value of these FM standards will be acknowledged by the industry, the Academy for Facility Management is already training the FM managers of tomorrow according to the principles and guidelines of these standards. Pragma Facilities Management will also take steps to implement the standard at pilot clients.